I saw something similar to this years ago at a math conference and have been wanting to recreate it for some time. 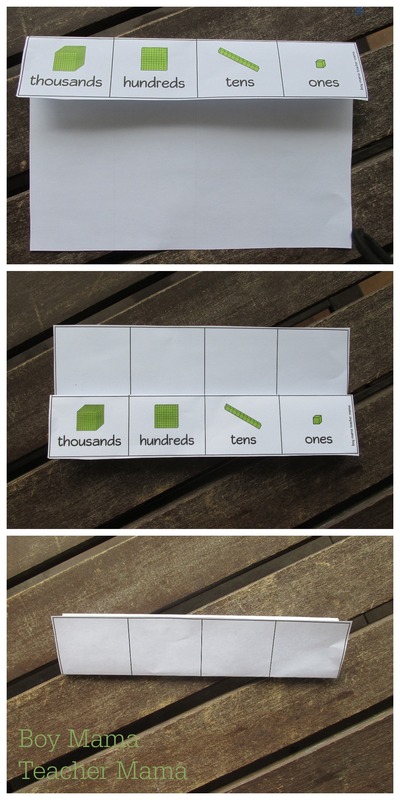 It is somewhat similar to our Place Value Flip Book, but a bit more interactive. I created these templates this week and used them with my first graders and they really like them. They all have them sitting at their work spots and display them like they are a treasure! Print the templates (available here). 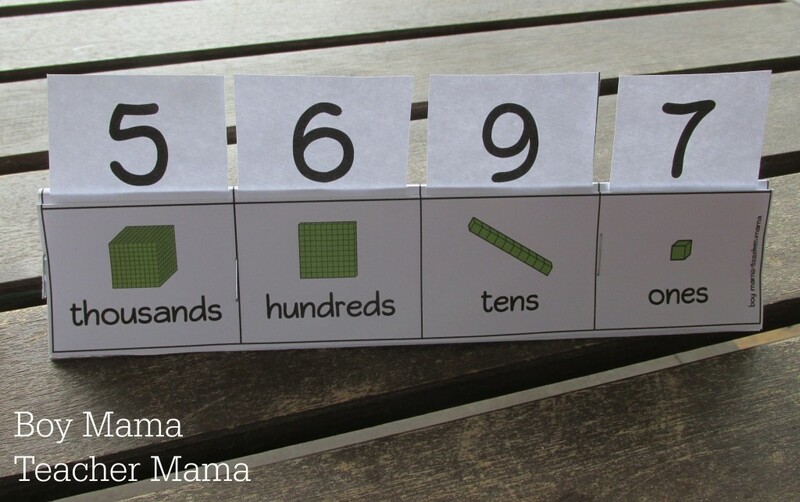 Cut out the individual number cards. Print at least 2 copies of the number page per student/child. I recommend using card stock for durability. Fold the pocket as shown in the picture below. You will have a total of 3 folds. Staple all the pieces together along the lines and edges except for the last piece which will act as the stand for the pocket. 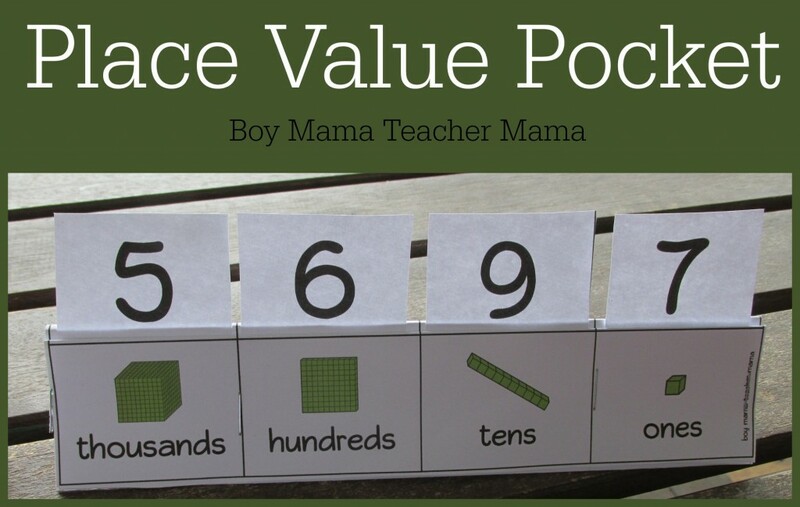 Your place value pocket is now complete and ready to use. Note: These games can be played individually or with 2-3 players. 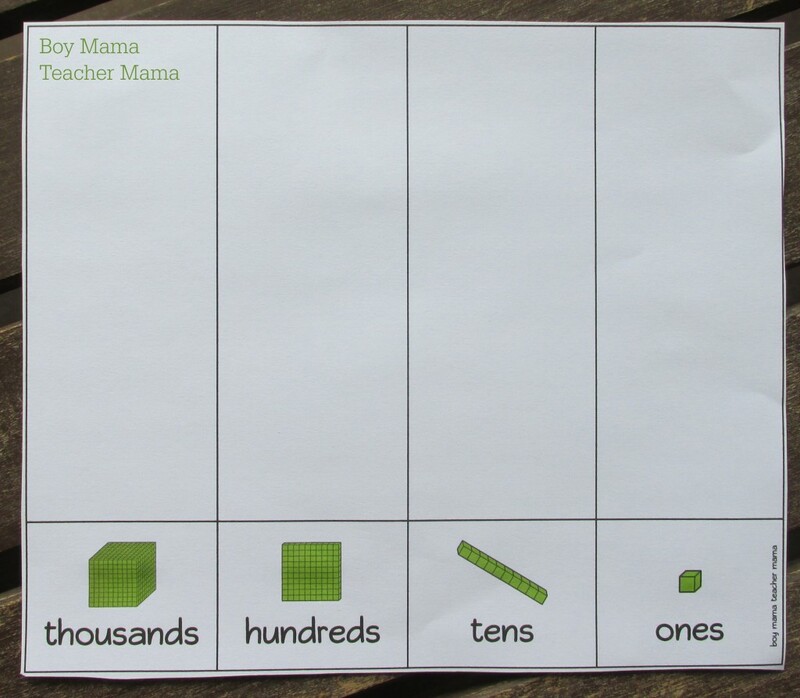 Players can use only the ones and tens place, the ones, tens and hundreds place or use all four depending on their learning level. Create a Number: Decide if you want to create the biggest or smallest number possible. Lay all the number cards face down on the table in front of the players. Player one chooses a card and places it in either the ones, tens, hundreds or thousands place. Player two then does the same. Players continue to choose cards until all four places have been filled. The student with the biggest (or smallest) number wins. Make a Number: Similar to create a number, but instead of choosing one card at a time, each partner takes four cards and has to create a number secretly before showing it to a partner. Read a Number: Have one partner create a number and the other partner has to read it correctly. 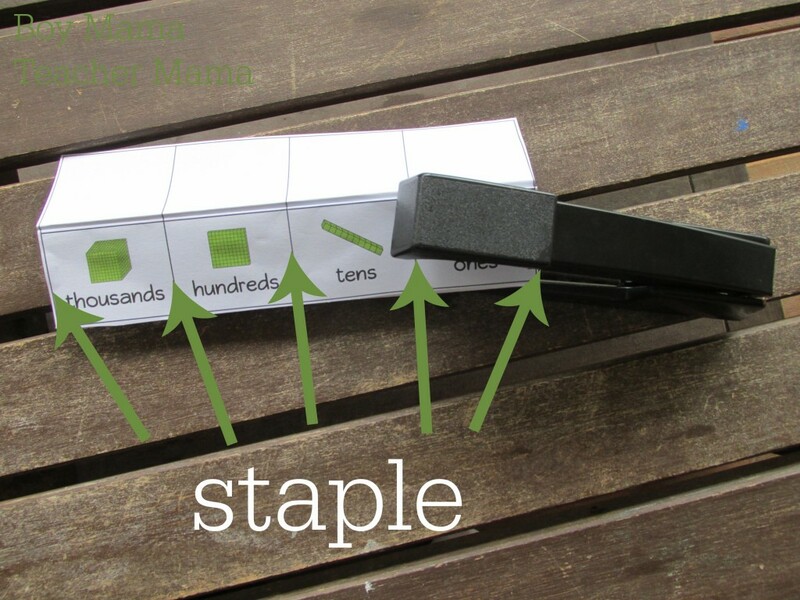 How would you use a place value pocket? I love your math resources, Stephanie! This is pretty cool Stephanie. 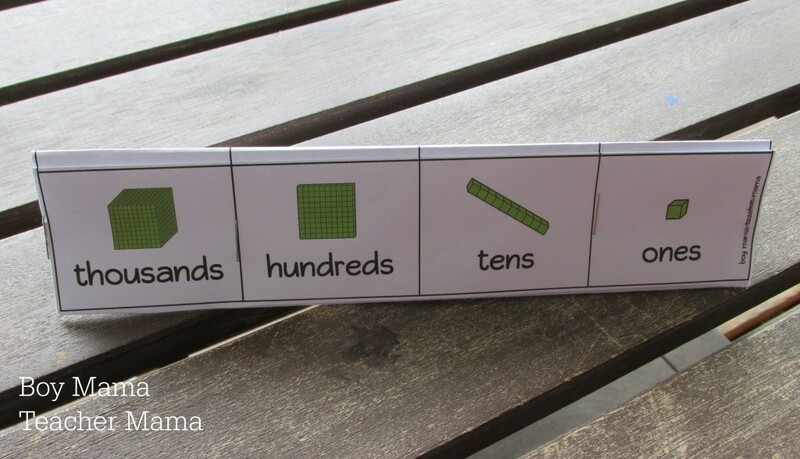 My son’s preschool uses the same visuals—one block, then a stick of ten, then a square for 100. I’m guessing he’ll eventually deal with the cube!